MOSCOW, March 18. /TASS/. 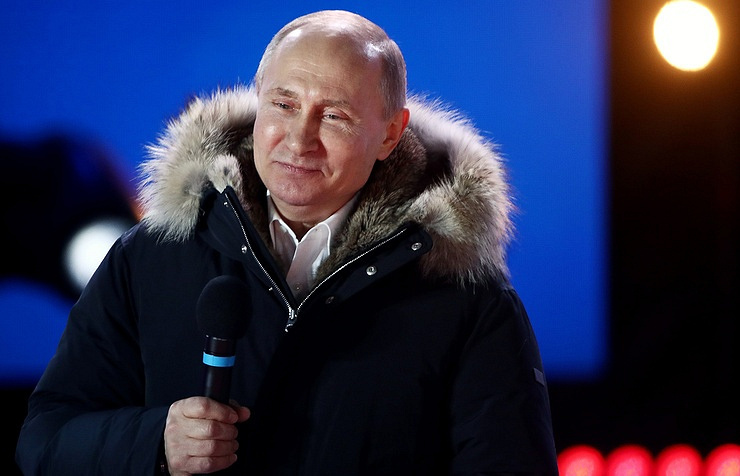 Russia’s incumbent President Vladimir Putin, who is heading for a landslide victory at Sunday’s presidential polls, has thanked his supporters. "Thank you very much for your support," he told a rally on the occasion of the fourth anniversary of Crimea’s reunification with Russia in Moscow’s central Manezgnaya Square. "I would like to tell both those who have gathered here in Moscow and our supporters across our entire country: thank you for this result," he stressed. 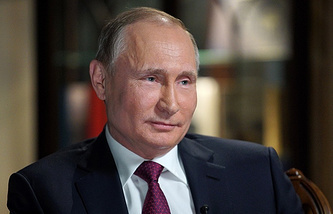 Putin said that the voting results demonstrate people’s confidence and hope for further development of the country. "I see in this at least recognition of what has been done in the recent years in very difficult conditions - trust and hope of our people that we will work the same hard, the same responsible and more efficiently," he said.